One week from tonight, on Saturday Feb 4th, the 2nd Midwinter 630m Activity Event will take place. 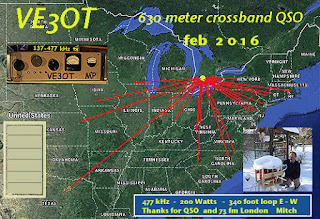 The highlight of this event will be the opportunity for amateurs, throughout North America, to attempt crossband CW contacts with Canadian amateurs operating on 630m. Canadian stations will call CQ on announced frequencies within the 630m band and listen on individual HF (QSX) frequencies for callers. Due to the RTTY and Sprint activities on the same night, some of the QSX frequencies have been shifted from those that might normally have been used in the past. There appears to be a lot of growing interest in 630m among American operators. 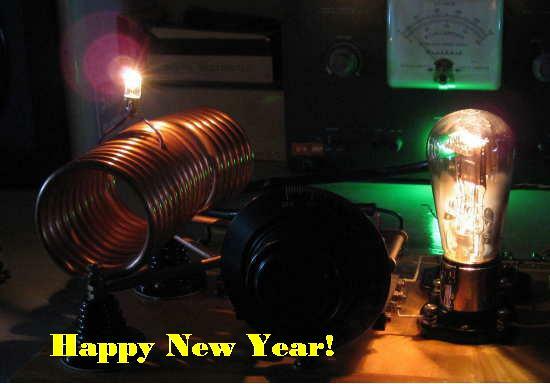 It is hoped that the USA will soon have access to 630m as a ham band. There will also be a large turnout of U.S. experimental activity, either in beacon mode or in two-way QSO mode with other experimental service stations. In past events, Transcontinental crossband contacts have been completed. It is hoped that operating events such as this can serve to demonstrate the interesting propagation possibilities of this unique part of the spectrum and generate more new interest in the 630m band. To read more about this event, please see the ARRL news announcement here. This time out, there will be six Canadian stations, from Newfoundland to the west coast, hoping to work as many of you as possible! See you next Saturday we hope! Early last night ZF1EJ (Eden) and I were able to easily complete a two way JT9 QSO on 630m ... 475.300 kHz to be more exact. This was Eden's first 630m JT9 QSO as well as the first ever 630m QSO between Canada and the Cayman Islands. The contact was completed shortly between 8:15 and 8:30 PM local time. The contact attempt was initiated via the ON4KST 2200m / 630m chat page after I had decoded Eden's signal shortly before 7 PM local time ... the first time I have seen his signal so early in the evening. 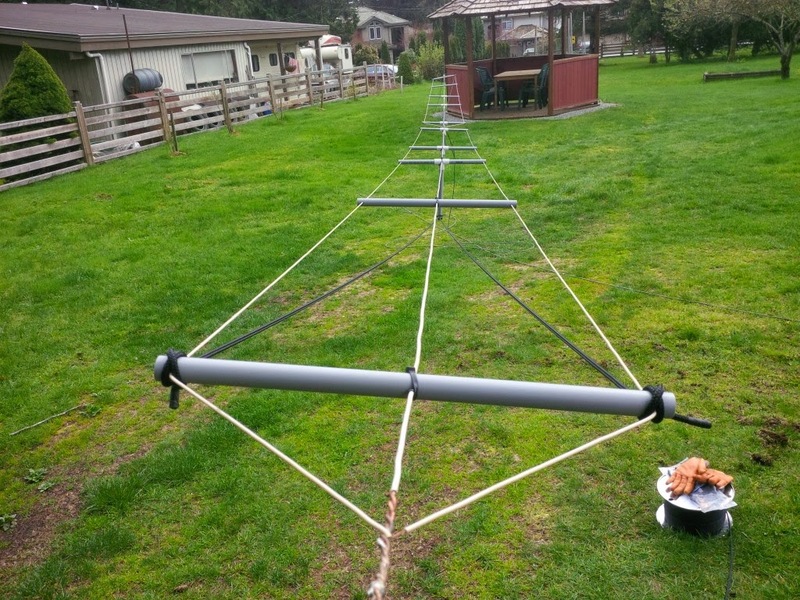 "This is how the antenna is setup:- It is a tophat vertical, the tophat is 65’ 6” long and about 80’ above ground, the vertical is 74’ 6”, There are 4 radials 10’ above ground, each 128’ 6” long. The antenna is made of #10, stranded insulated wire. The tophat is strung between two towers and is side on about 45 deg. The tuner was built by Ron and Ward a few month ago and shipped down to me. Just found the time to set it up recently. The SWR is 1.1-1 and I am using a Monitor Sensors Transverter built by Roger, VK4YB. Output to antenna 22 watts." The only change to the above report was Eden's e-mail follow-up indicating that his power output during our QSO was 32 watts ... conditions must have been even better than I thought. There is no question that his antenna works very well as his signal was decoded on every transmission following my first reception of his JT9 signal. Conditions appeared to be good enough that we could have continued the contact for some time as there was little fading during the time of our QSO. Later in the evening, signals at his end reached well into CW levels for considerable time while just one WSPR transmission from Eden was received at CW levels. With an even newer JT-9A mode now promising a 2db improvement, making contacts should be even easier. Once the USA gets access to 630m, it is clear that Eden will be a popular target for most North American stations! Recent emails from two friends brought new insight into a blog that I had been intending to do for some time. As has been mentioned on more than one occasion, I discovered radio at the age of 10, after reading an article about shortwave-listening in a drugstore magazine. My father was able to rescue an old GE cathedral from grandpa's downtown barbershop, where it sat gathering dust for several years in the back room storage space. Fortunately, it immediately came to life when plugged in and soon after dad spent an afternoon scurrying about on the roof of our 3-story house in central Vancouver, my radio-adventures began. As I recall, the first couple of weeks were spent listening to radiotelephone traffic between various tugboats and their dispatchers, in the 2 megacycle marine band. Initially it took me awhile to figure out what I was listening to but found it fascinating to hear the tugboats up and down the coast getting their daily marching orders. It wasn't too much later that I discovered the international shortwave bands and I was soon keeping detailed logs of my catches and mailing for a coveted QSL. Friday nights were always special as it meant I could DX well into the night and not worry about having to get out of bed for school early the next morning. My 3rd floor bedroom shack was the true definition of 'warm and cozy' and a memory I will always cherish. Up to this point I had yet to discover ham radio. I must have tuned across a few conversations on phone but evidently hadn't been too awestruck at what I had heard ... perhaps I didn't know what I was hearing or was unable to comprehend some of the expressions they were using or what they were talking about when describing their gear. For whatever reason, the ham radio 'trigger-event' had not yet transpired ... but it soon would. By this time, I had moved upward, from the Boy Cubs to the Boy Scouts. I must explain that these activities were forced upon me by my parents and not something I particularly enjoyed, especially the midwinter camping trips that were always pouring rain or freezing. Again, from grandfather, I had been provided with an old, virtually uninsulated, WW1 sleeping bag, that wouldn't have kept anyone alive at the western front for longer than a week. These all too regular winter excursions to the rain forest were pure misery and if I wasn't freezing to death then my sleeping bag was usually getting soaked from the river of rain running through the tent ... most of these weekend outings were sleepless and left me feeling like a zombie for the next few days. But ... not every scouting experience was bad and in fact, it was a scouting event that would soon provide my ham-radio 'trigger'! The opportunity arrived for those that wished, to visit a local 'ham station' to partake in some sort of 'on-the-air experience'. 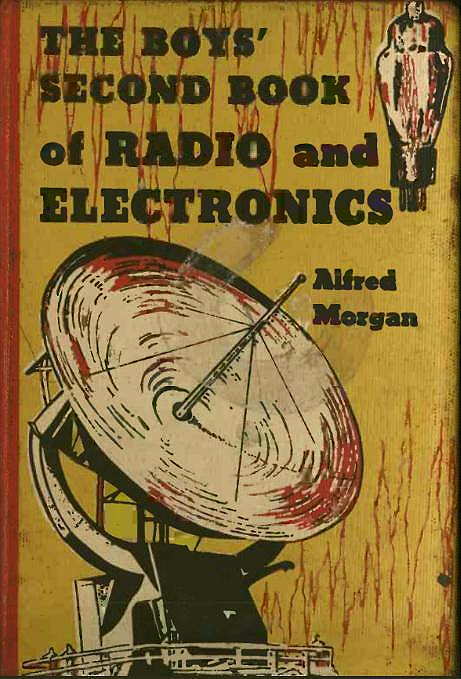 This would have been in 1958 and having been already familiar with shortwave radio, I immediately signed-on. A few weeks later, about six of us found ourselves in the basement shack of Ernie Savage, VE7FB. Although a stranger to me, Ernie was a well known 75m phone traffic man and an ardent 75m mobile operator. Although he was only about five-foot two, Ernie was a powerhouse of a personality and most of us cowered quietly as Ernie tweaked the dials and with a tight grip on his large microphone, barked louder than his small stature might suggest ... all of us quietly prayed that Ernie wouldn't pass the microphone to any of us. And then I saw it! Although I didn't know it at the time, it was a pivotal moment in my development and would shape all aspects of my life from that point forward. 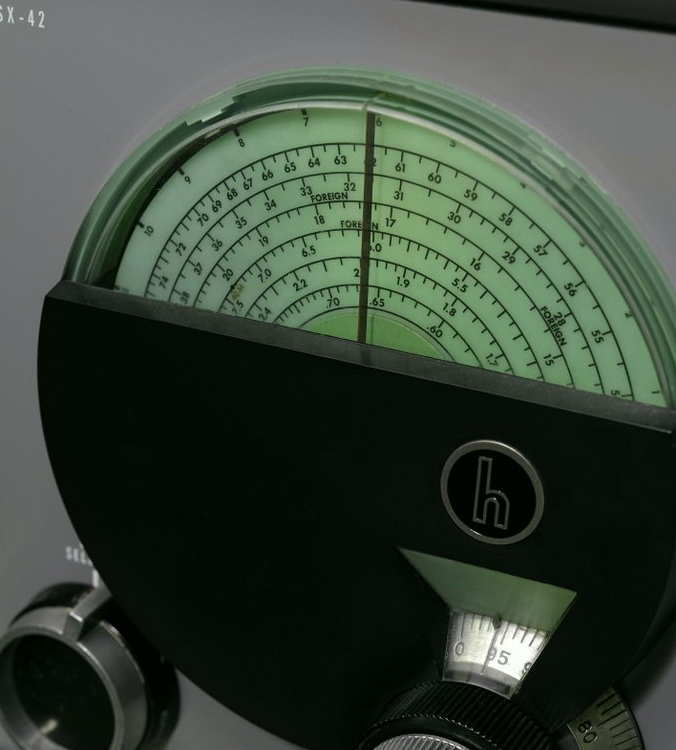 As Ernie reached up to change the frequency of his mammoth Heathkit DX-100 my eyes gazed upon and then became fixed on the big Heathkit's green dial ... the magical green dial that could take him anywhere he wanted to go, with just a twist of the wrist. 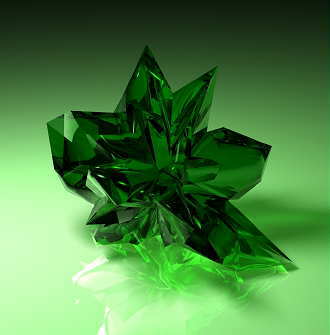 There was something about its semi-transparent, alluring green shade that just grabbed hold of me. It was one of the coolest things I had seen in my first experience with amateur radio and I knew, from that moment on, that I wanted to get involved in this amazing hobby. Instead of just listening to signals, I could be making my own! Like so many memories from my youth, this moment is still fresh in my mind ... I can still visualize everything in that room as if I had just left Ernie's shack. Although the warm orange glow emitted by the dials of the equally mammoth Hallicrafters SX-28 'Skyrider' were stunning, it was the inviting glow of the little green Heathkit dial that I found myself focused upon ... how odd this all seems to me now, thinking about it over sixty years later. Perhaps the Heathkit engineers had learned of the 'power of green' from those earlier genius Hallicrafter's draftsmen ... can anyone deny the alluring appeal of a Hallicrafter's front panel or dial? Whatever the reason, Heathkit engineers were no slouches either when it came to luring young radio-crazed boys as well as full-grown men with their eye-appealing ads and clever designs. As a young teen, I could never afford to buy a DX-100 but I was able to buy a VF-1 and added one to my Heathkit DX-20 magic transporter. With the lights turned off in the high attic bedroom shack, the orange dials of the Super Pro and its backlit S-meter combined with the seductive green glow of the VF-1. It just couldn't get any better! Until recently, I had no real idea of why I had found the green dials so enchanting but an email from Mark, VA7MM, finally made it all perfectly clear. 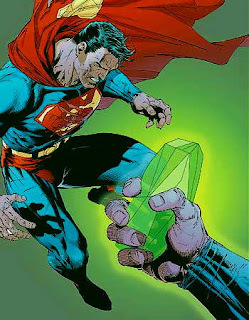 Mark offered the most plausible explanation ... the diabolical Heathkit and Hallicrafters engineers had been putting Kryptonite in their dials ... the stuff that even Superman found overpowering and unable to resist! It was now so obvious why countless thousands of young boys and grown men had found these products so difficult to resist ... seems we never had a chance. Fritz Raab, the ARRL's 600-Meter Experimental Group coordinator, recently released his quarterly report, with highlights being reported in the ARRL News. 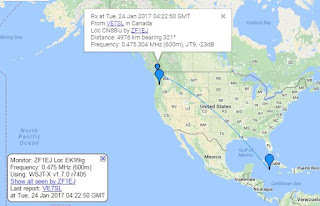 "Band activity has been very high, and there are often more WSPR stations — more than 110 stations — on 472 kHz than on 80 or 160 meters!" "In a sense, 630 meters has become a mainstream ham band, in spite of not being authorized in the US". "The paths to VK and JA have remained good. This was not the case last year, so perhaps it is an effect of the coming solar minimum. 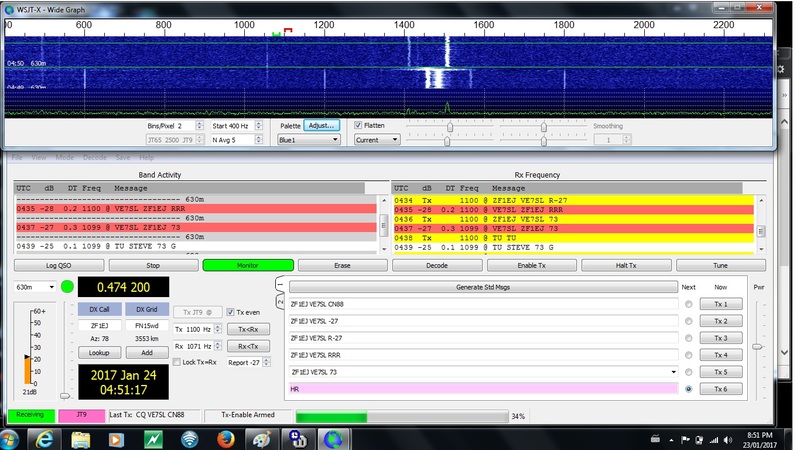 Many reports have been received for WSPR transmissions with relatively moderate power. 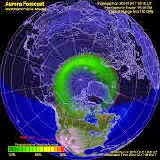 There have been a number of polar and high-latitude openings to LA2XPA from North America. Many long-time operators say that they have never seen anything like that. There have also been a number of openings from the US west coast deep into Europe." The ARRL's full report can be read here. Also touched upon was the upcoming "Midwinter 630m Operating Activity", the second such February event ... this year to be held February 4-5th. Stay tuned here for further details. 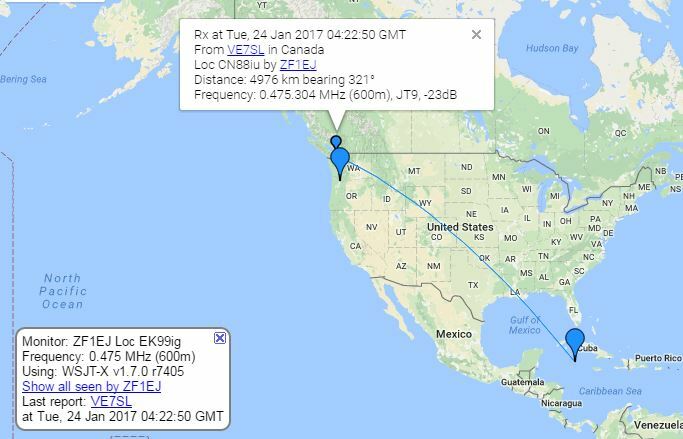 Highlighting the event will be another opportunity for U.S. and Canadian amateurs to attempt CW crossband contacts with six Canadian stations operating on specified frequencies in the 630m band. Canadians will listen for callers on specified frequencies within the 160, 80 and 40m bands. Previous events have had much success, with Transcontinental and Transpacific CW crossband contacts being completed by many stations. 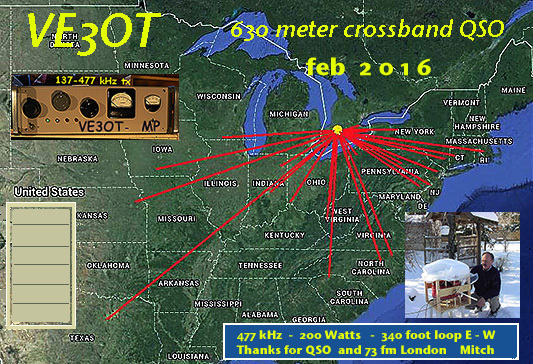 A detailed schedule of frequencies and times will be published as the event draws closer but in the meantime, see if you can keep February 4th (Saturday night) open for some 630m crossband excitement! See You In The 'Linc'! This coming week will provide two great opportunities to fire-up your older radios and enjoy some pleasant CW exchanges with other like-minded vintage radio users! The Antique Wireless Association's (AWA) annual roll-out of the Linc Cundall (W2LC) Memorial CW Contest takes place this coming Wednesday and Saturday. Activity starts at 2300Z on both days and continues for 24 hours. Linc Cundall was one of the the three founders of the AWA, back in 1952, along with Bruce Kelley (W2ICE) and George Batterson (W2GB). Over the decades, the AWA has been one of the chief proponents for the preservation of radio history, in all of its forms ... including the restoration and active use of vintage radio equipment. The AWA celebrates vintage amateur radio with several 'on-air' events each year including the premier event, the '1929 Bruce Kelley Contest'. The annual 'Linc' CW party encourages all amateurs, including non-AWA members, to utilize their pre-1950 radios ... those designed and built before 1950 as well as homebrew reproductions of popular pre-'50's designs. 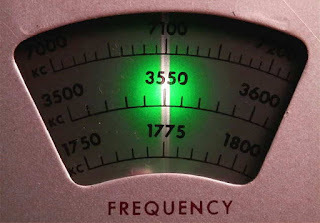 Participants are encouraged to call 'CQ AWA AWA' on 160, 80 or 40m CW... suggested 'window frequencies' are outlined in the rules page which can be found here. Active discussion and promotion regarding the upcoming event may be found on Yahoo's AWAGroup reflector. If you have an older radio (receiver or transmitter) that qualifies ... this includes any of your WWII surplus! ... hopefully you can spark-up for the event. No older gear? Don't let that stop you from getting in on the fun, as modern rigs can be used as well, with the object of working as many AWA vintage stations as possible ... no excuses! The above photo illustrates some of the beautiful homebrew work being done by Neil, WØVLZ, who was the chief inspiration for my own involvement in '29 activity. It will be hard to visit his amazing pages without getting hooked, so you have been warned! My present 'vintage on-air' shelf beside the main operating table has been occupied now for several years by my Tri-Tet-Ten but with the likely demise of further 10m work, it's time to exchange it with something that I can use more often. 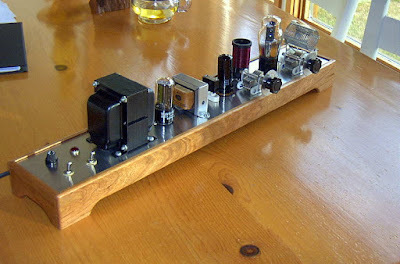 I hope to set up my homebrew 'Longfeller', shown below, inspired by the original design published in July, 1946 QST. 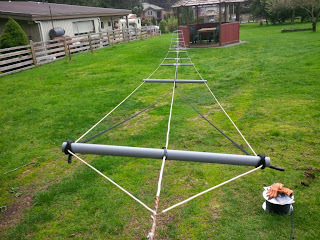 My Longfeller operates on all bands from 160-10m, and should be ideal for the upcoming activity nights. Please do consider getting on the air for this annual event, no matter what radios that you have ... it's especially nice to hear the sounds of these old radios that are fast disappearing. Events like this keep these great sounds alive. 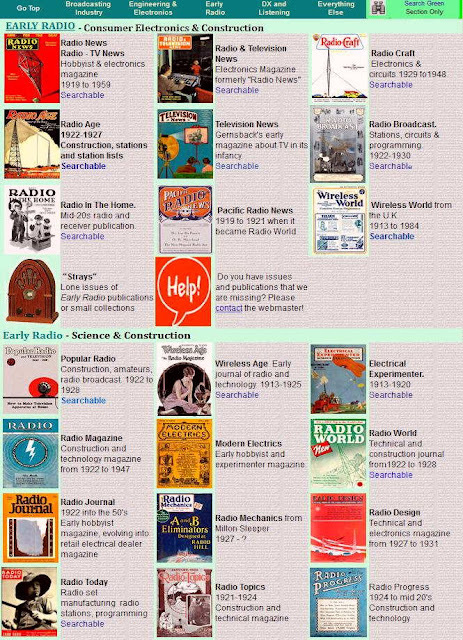 A quick read of the latest postings on the excellent "The RadioBoard Forums" revealed a recent donation, by RadioBoard regular Graeme Zimmer, of his extensive collection of scanned vintage radio books to The American Radio History website. For those not familiar with this site, it is a superb and extensive archive of radio-related magazines and publications developed and maintained by the very dedicated David Gleason. There are probably very few radio or electronic magazines of the past that you could name that won't be found on David's website. Graeme's donation was extensive enough to garner its own page listing and many of the book titles will ring-nostalgic to a lot of us baby-boomers that were grabbed by the magic of radio while still in our formative years. I was delighted to see one particular author's name in the list of publications, Alfred P. Morgan ... a name that many of you might recall with fond memories. I remember checking out many of his 'Radio For Boys' series of books from the top-floor school library when still in elementary school. I longed to construct some of the simple radios but at the time I was really too young to gather the needed resources and components to put something together. I had yet to develop any of the needed skills, other than the yearning desire to learn as much as I could about these complex-looking one-tube receivers ... but it was already too late I think, and like thousands of other young 'radio boys', Alfred Morgan had planted the seed that continues to flourish some sixty years later. Thanks to Zimmer's donation of over 100 different titles from various authors, many of those hypnotic publications can now be found on David Gleason's amazing time machine!